Yep, I’m doing The Avengers again!! This time, though, I am approaching the movie from a slightly different angle. I thought that this time I would ‘assemble’ some of my favorite quotes from one of my favorite movies, The Avengers, and share them with you. One of the things I enjoy about movies and books are the wonderful lessons hidden in each story. There is always a lot to be gleaned from a story, and one of the best places to look for nuggets of philosophical instruction is the dialogue. This dialogue cracks me up. In most movies, when the bad guy drops in unannounced, the leader of the free world tries to talk him out of squishing humanity. Said attempt usually ends with said leader either being chased out of the room or getting killed for being a windbag. Fury was fortunate – unsurprisingly – and had neither incident befall him. However, the line is memorable for me because of Loki’s choice of response. I really hate to say a villain had a great, funny line, but Loki did. Of course humanity has no beef with the Asgardians. Trouble is, Loki is not an Asgardian. Never has been, does not want to be one. He intends to be the ‘boot’ that steps on the ‘ant’ of the ‘measly’ human race. Thor [to Loki]: You listen well brother…. This is just too cute! Everyone who has ever been to a theater expects lots of speeches from the characters, bad and good alike, explaining Dark from Light. What Thor would have said we can only suppose, thanks to Iron Man’s timely intervention. I have to say, that is the whole reason the scene is so memorable!! The Big Eye Patch knocked this one out of the park and had even me shouting, “Home run!” It is high time that someone in the movies told the bureaucrats to stick it in their ear. I am no fan of Fury; just like Cap, I would say “he has the same blood on his hands that Loki does.” But this was a line that was well worth hearing. It was well spoken, too. 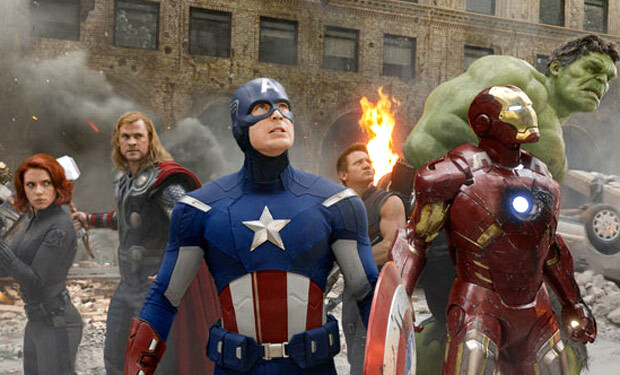 World Security Council: Where are the Avengers? Nick Fury: I’m not currently tracking their whereabouts. I’d say they’ve earned a leave of absence. World Security Council: And the Tesseract? Nick Fury: The Tesseract is where it belongs: out of our reach. World Security Council: That’s not your call. Nick Fury: I didn’t make it. I just didn’t argue with the god that did. World Security Council: So you let him take it and the war criminal, Loki, who should be answering for his crimes? Nick Fury: Oh, I think he will be. World Security Council: I don’t think you understand what you’ve started. Letting the Avengers loose on this world. They’re dangerous. Nick Fury: They surely are. And the whole world knows it. Every world knows it. World Security Council: Was that the point of all this? A statement? In this speech, Fury again tells the WSC (World Security Council) they don’t know zip about what the world needs. Here he defends the Avengers and leaves the door open for the sequel film. And he points out that, if fooling around with the Tesseract really is a signal to the other races of the galaxy that Earth is “ready for a higher form” of warfare, then the rest of the galaxy better get the message that Humanity isn’t going to roll over when attacked. The WSC are roll-over-and-become-dead pencil pushers. Fury is the “come here to hurt us and we will kill you” general. There is just one thing I feel I have to say about Nick Fury. I like him about as much as I enjoy cleaning the bathroom. But his strategy is the winning one; I prefer him to the WSC. I just don’t trust him as far as the Hulk could throw him. And Big Green can throw things a rather long distance. The Hulk [leaving]: Puny god. What I forgot was the Asgardian snitch was addressing the Hulk. I also managed to forget that the Hulk’s patience has a very low ceiling. So I nearly screamed with laughter as I watched the Hulk “ragdoll” Loki into the floor. I cannot tell you how long I have wanted to hear the villain in any film get cut off mid-yap like that! I’ve wanted to do it myself for years. The two-minute scene was extremely gratifying, and it is one of the scenes in the film that I enjoy the most. Natasha Romanoff [about the Chitauri coming toward them]: This is just like Budapest all over again. I agree with Hawkeye here. How the heck could whatever happened in Budapest be remotely akin to getting charged by hordes of ugly aliens? Maybe Widow’s memory has begun playing tricks on her…? Thor: You have no idea what is going on here. Tony Stark: Mmmm…. Shakespeare in the Park? Doth mother know you weareth her drapes? Tony Stark: He gives up the Cube, he’s all yours. Until then, (puts down his faceplate) stay out of my way. This exchange is a hoot. Thor is characterized these days as having a head too big for his helmet, and as prince of Asgard, he probably always has had a slightly inflated opinion of himself. Now, billionaire Tony Stark is no slouch in the ego department either. Like Thor, he’s had everything handed to him on a silver platter from the time he could ask for it. That is not a condition conducive to a healthy ego. So this banter is more than just a prelude to a clash of titans. It’s the spark to an explosive meeting of oversized attitudes! Maintenance Guy [seeing the three Avengers climb aboard the aircraft to fly to Manhattan]: Uh… You are not authorized to be here! Steve Rogers: Son… just don’t. Again, this is a line that I have wanted to hear for years. Whenever the heroes have to sneak off to fight the bad guys, someone like this poor maintenance guy has to try and stop them. Here, Cap puts him in his place with three little words – much more comfortable for all concerned than the customary knockout punch others have received for trying to do their jobs. Or those poor souls who simply end up in the wrong place at the wrong time! Tony Stark: It’s what we call ourselves, sort of like a team. “Earth’s mightiest heroes” type thing. Loki: (chuckling) Yes, I’ve met them. Tony Stark: (nods and smiles briefly, his expression somewhere between angry and sheepish) Yeah. Takes us a while to get any traction, I’ll give you that one. But let’s do a head count here. Your brother, the demi-god (Loki grimaces and begins pacing); a super soldier, a living legend who kind of lives up to the legend; a man with breath-taking anger management issues; a couple of master assassins – and YOU, big fella, you have managed to tick off every single one of them. Loki: (smiling again) That was the plan. Loki: (snarling) I have an army! Tony Stark: (angrily) You’re missing the point! There’s no throne, there is no version of this where you come out on top. Maybe your army comes and maybe it’s too much for us, but it’s all on YOU. Because if we can’t protect the Earth (pauses a beat, then continues fiercely), you can be damned well sure we’ll avenge it! This is, hands down, Stark’s best soliloquy ever. There is nothing more I need to say about it. Loki: Is not this simpler? Is this not your natural state? It’s the unspoken truth of humanity, that you crave subjugation. The bright lure of freedom diminishes your life’s joy in a mad scramble for power, for identity. You were made to be ruled. In the end, you will always kneel. Elderly German Man [slowly rises to his feet]: Not to men like you. Loki [smiling]: There are no men like me. Elderly German Man: There are always men like you. Loki: Look to your elder, people. Let him be an example. Captain America: You know, the last time I was in Germany and saw a man standing above everybody else, we ended up disagreeing. Captain America: I’m not the one who’s out of time. The first thing that struck me about this scene was the realism: when Loki comes out to make his grand speech about his new world order, no one is paying attention. Instead, the crowd is running about in an absolute panic. No one is phoning for help; no one is making a break for the exit out of the courtyard; and no one is paying attention to the goon with the horned helmet. That is exactly how a real crowd would react in a dire situation. And thanks to Cap, this German gentleman probably will get to see the next crackpot who tries to conquer the world. This is the other good part of the scene. Cap dropping down in the nick of time to save a man he probably fought almost ninety-odd years back has a lot of poetic irony behind it. I would say that was the reason Whedon added the scene; to show how much had changed for Cap and how the First Avenger was adjusting to his new century. He adjusted pretty well, I would say. Coulson: It’s in your nature. Loki: Your heroes are scattered, your floating fortress falls from the sky… where is my disadvantage? Coulson: So that’s what it does. Never mind the fact that Coulson approaches his upcoming demise with his typical cool demeanor, the fact is that he is right. Loki has no conviction in his choice of actions; else he would not be trying to take Earth through subterfuge. In contrast to him, the Avengers do have the conviction of their principles. That’s why they win. That is why they will always win. I have to say I am going to miss seeing Coulson in the films. When a guy can stare down the gun barrels of the Marvel villains featured in Iron Man, Iron Man 2, and Thor with the same calm one would exhibit viewing a museum piece, he is obviously made of some stern stuff. I suppose it is nice to have him back in the new television series Marvel’s Agents of S.H.I.E.L.D., but I think I will really miss him in the movies. After Hawkeye, he had to be the most trustworthy ground force S.H.I.E.L.D. agent to date. Steve Rogers: There’s only one God, ma’am. And I’m pretty sure He doesn’t dress like that! This entry was posted in Movie Reviews and tagged 2012, Agent Phil Coulson, Black Widow/Natasha Romanoff, Captain America/Steve Rogers, Chris Evans, Chris Hemsworth, Cobie Smulders, Dialogue, Hawkeye/Clint Barton, Hulk/Bruce Banner, Jeremy Renner, Joss Whedon, lines, Loki, Maria Hill, Mark Ruffalo, Marvel, Marvel movies, Movie Reviews, Nick Fury, Quotes, Quotes from The Avengers, Samuel L. Jackson, Scarlett Johansson, The Avengers, Thor, Tom Hiddleston on February 6, 2014 by The Mithril Guardian.